"more tracks than a single, but the entire possible space of the CD isn't used up"
Right... but we'e all seen more than our fair share of 6 or 7 track "singles", and 5 or 6 track "albums"
why dont we merge EPs and singles in to albums? "However, since a CD can carry any amount of material up to around 80 minutes, the distinction between a CD EP and a short CD LP is somewhat arbitrary and is based on artistic and marketing factors." Senrepus: nah, it's not that he's wrong by any means; it's typically stuff like should that one marilyn manson track be called "spade" or ♠? opinion: The release I'm adding has 16 tracks. 5 are live. Album or Live? BrianFreud remains the champion of chatkill! QT not working on ME? is it actually on the titles though? and what about this 'unreleased original version' in the last title? that's a silly distinction IMO. if the creator of the release calls it Foo Unreleased, then that's what it's called. In my book. do you really thing they named it "Foo Unreleased"? hawke: if it lists as "Tom Tom Drums (previously unreleased)" you really want that parenthetical info? SenRepus: I don't feel it's appropriate to second-guess the person releasing it. BrianFreud: I don't think there'll be any debate, just an "agree to disagree"
hmmm, Paul Revere and the Raiders - wasn't someone in here a fan? hmm, so is picard-qt working properly with the renaming? also, is the %format% tag still supported? 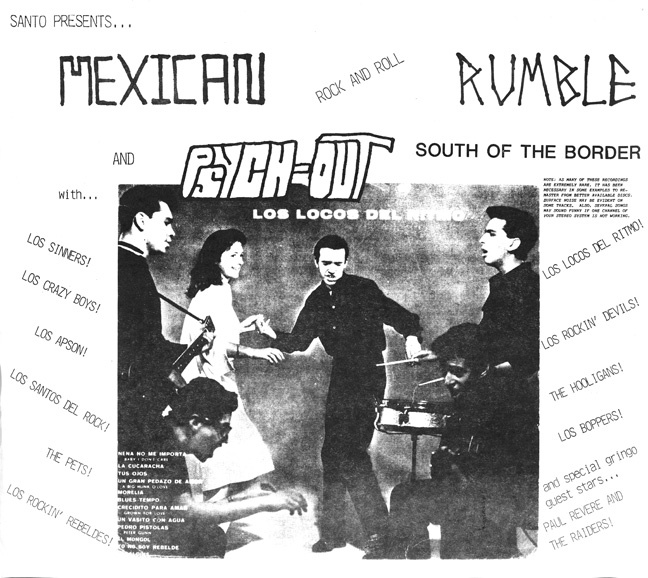 what about the "and Psych-Out South of the Border"?